Anu Mandavilli is joining a protest against Gap, at the clothing company's annual meeting on Tuesday. Her beef: Gap doesn't do enough to improve worker safety in Bangladesh. "I own Gap clothing and I don't think it's acceptable that this is the cost," Mandavilli said. Protesters like Mandavilli are being galvanized into action by labor and socially conscious groups in the wake of the deadly garment factory building collapse in Bangladesh that killed more than 1,200 people last month. Even though Gap wasn't linked to any of the factories housed in the building, the company is one of the largest American importers of clothing from Bangladesh. Advocacy groups have taken on Gap (GPS) for not signing an international agreement put in place by two worldwide labor groups after the disaster. Signed by more than 24 global brands, including H&M, Marks & Spencer, Tommy Hilfiger and Calvin Klein, the agreement calls for independent safety inspections at the factories and publicly reporting the results. It requires retailers to help finance fire safety and building improvements in factories they work with. It also holds companies legally accountable if they are found in violation. "It's really shameful that they're holding back," said Mandavilli, who came to the United States from India 15 years ago to study at the University of California. Mandavilli, who has worked with the worker advocacy group Friends of South Asia for a decade, feels strongly about the cause. She is joining other protesters outside the meeting to urge the company to take action. "They have a responsibility in modeling good behavior," she said. Gap touts itself as "one of the strongest leaders in the area of corporate social responsibility." But the company was an outspoken opponent of the international agreement. It cited legal liability as a key reason for not joining the pact, saying it would "open the legal floodgates" on U.S. companies. "We worry that labor is unnecessarily creating an environment where American companies may feel the risk is too high to remain committed to Bangladesh," said Gap spokesman Bill Chandler. Instead, Gap proposed that the penalty for companies working with factories that violated the agreement should be public expulsion, rather than legal recourse. Labor activists say that Gap's proposal would gut the entire agreement and make it make it unenforceable. "The promises that retailers are making now have to be ones that they're held accountable for six months from now, not ones that they can quietly break with no consequence," said Scott Nova, executive director of the Worker Rights Consortium. Two labor groups, the International Labor Rights Forum and United Students Against Sweatshops, launched a website earlier this month called Gap Deathtraps in an attempt to turn up the heat on the retailer. Representatives from both groups will be at the rally. The groups say that Gap hasn't stayed true to its portrayal of itself as being at the forefront of safety standards since 2010, when a factory in Bangladesh that made goods for the company caught fire and killed 29 people. "There are some folks at the most senior level at Gap who are no longer willing to see the future of what needs to be done," said executive director Judy Gearhart of the labor rights forum. Claudia Fernandez, a junior at Santa Clara University and a member of United Students Against Sweatshops, is also joining the protest. "If Gap was really socially responsible, they wouldn't be refusing (to sign this) accord," she said. "We think it's a sham." 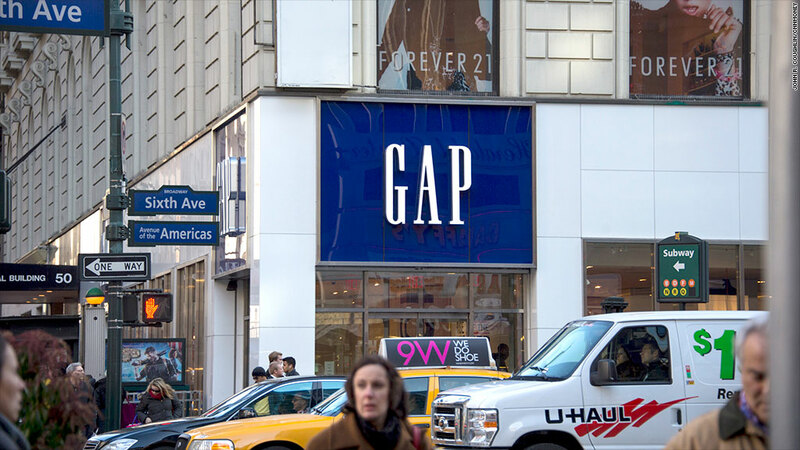 A Gap spokeswoman said the company respects their right to protest and says it will continue to work on improving safety conditions in Bangladesh.